Eugene was the most generous, kind-hearted person you could imagine. He was a forward-thinking man, and decided to leave traditional employment behind. 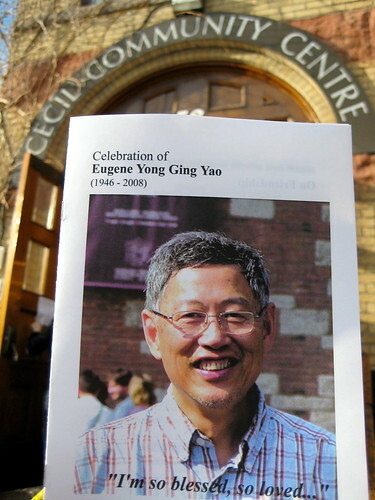 He was married to Winnie Ng, well-known NDPer and immigrant- labour-rights activist in Toronto. They let me stay at his house for a month when I was working in Toronto and refused to let me pay them a cent, loved by all my friends who were clients of Urbane Cyclist. I had just got my bike stolen when I moved in with them and Eugene kindly supplied me with a sturdy old beater for the month! Of course, it ran like a dream….